Achieving the WSET Diploma changed my life. I’ll be honest: it was not a walk in the park. Committing myself to the journey, however, proved to be worth it in so many ways. It gave me a thorough understanding of the world of wines and spirits, fine-tuned my palate and boosted my CV with a globally-recognised qualification. It was also the stepping-stone for my Master of Wine studies, which broadened my prospects within the industry even further. What is the WSET Diploma? The Level 4 Diploma in Wines and Spirits is WSET’s flagship qualification, providing in-depth knowledge and understanding of wines, spirits and the global industry. It’s divided into six ‘units’, each focusing on a key element of the world of wines and spirits, and you must pass every unit to gain the qualification. It’s not service-orientated so it won’t teach you to serve wine in a high-end hospitality setting as would a more practicaly led certification from the Court of Master Sommeliers, for example. Instead, the Diploma offers in-depth coverage of everything from the global business of wines and spirits, through grape growing and wine making, to learning about the different still, sparkling and fortified wines from around the globe as well as the key styles of spirits worldwide. Assessment is through a combination of coursework and closed-book written exams, covering both theory and tasting. The Diploma is considered by many as the driving-license for the wine trade and is recognised and respected internationally. To date, since 1969, only 9,177 people globally have achieved the qualification, including such notable alumni as Jancis Robinson MW OBE, Gérard Basset MW OBE and Serena Sutcliffe MW (to name but a very few!). This valued qualification is highly desirable for those who wish to pursue a serious career at an expert level in the wine and spirit industry. Aldi's Wine Buying Director Mike James, for instance, attests that achieving it has played an "invaluable role" in his professional development. The knowledge acquired at Diploma level does not go unrecognised by the industry’s decision-makers; being able to use the letters DipWSET after your name adds prestige and credibility to your CV. “When I tell people I've got the Diploma there's an immediate recognition” says Bernice Cheng, Founder of xBorderWines in Hong Kong. As well as advanced-level, professional product and industry knowledge and an enhanced CV, the Diploma has many other advantages. It is universally viewed as the key springboard to the prestigious Master of Wine qualification, and certainly it was for me – the knowledge, Systematic Approach to Tasting (SAT) and study discipline which I acquired during my Diploma studies were an essential foundation for the intellectually demanding MW programme. In addition to the obvious cerebral advantages, there is an important sense of personal satisfaction to be gained from reaching such a milestone. Upon achieving the Diploma you will have the chance to attend a special graduation ceremony in London to celebrate your significant accomplishment. For candidates who achieve outstanding results there is also the opportunity to win one of many prizes and scholarships, sponsored by some of the industry’s leading companies, including study visits to Moët & Chandon, Royal Tokaji, Lustau and Louis Jadot wineries, to name but a few. Moreover, you will find that the opportunities for networking and making friends on the course are many. Amongst your fellow classmates you will encounter numerous future ‘movers and shakers’ of the industry, and will all learn to speak a universal language when it comes to wine; this can help you immensely if you choose to work with international markets in the future. “The school I attended was very international. We had people from all parts of Asia, New Zealand, Australia... tasting with them, discussing wines from their perspective and learning about their particular markets was really, really enjoyable”. There is no denying that the experience is intense and requires real commitment. It typically takes around two years to complete, with a recommended 600 hours of study time inclusive of Guided Learning Hours. Virginia Goldsack is currently studying to take her Unit 3 exam next month and advises that the Diploma "has been a great challenge. It undoubtedly requires serious commitment even from the most studious oenophiles". I myself found the Diploma studies very challenging in terms of the sheer volume of information to learn and apply, particularly when already in full-time employment. Working in the wine industry was an advantage, as I had numerous opportunities to taste a wide variety of wines. Nevertheless, a certain level of personal sacrifice is required in order to achieve the focus necessary for success. You may find that your fellow classmates become your entire social life! Then there is the cost to consider. The course fees at the WSET School in London currently start from £2398 for the online course and from £3570 for the classroom course. This price varies at course providers in different countries; since the course requires students to taste wines from around the world, local import regulations and availability of samples can have a significant impact on the total cost of the course. Regardless of which course provider you opt to study with, all are closely monitored by WSET to ensure that no matter where in the world you complete the Diploma you will receive the high quality tuition befitting a WSET course. In addition to course fees, you will also need to set money aside for any additional expenses, such as extra samples for tasting practice or trips to visit wine regions. Devices like the Coravin can help keep costs down, as can setting up a tasting group to share sample costs. While these costs can add up, tasting for me was the most enjoyable part of learning, and having a good excuse to buy more wine is always welcome! Given the clear benefits to your professional (and personal) development, although it can seem a costly decision it is in my mind most definitely an investment worth making - or convincing your employer to make on your behalf; many employers will be happy to invest in the Diploma. If all this has whet your appetite to gain one of the most highly prized qualifications in the world of wine and spirits, then there is no time like the present to get going. In order to qualify for entry to the Level 4 Diploma, you must have successfully completed the Level 3 Award in Wines or be able to demonstrate equivalent knowledge. Then you must decide which format would suit you best (this will vary according to programme provider) and where you would like to enrol; there are currently 30 course providers approved to offer Diploma across 18 countries. 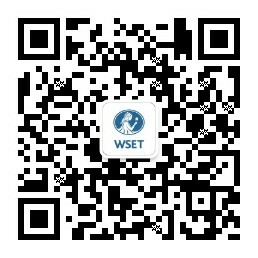 Full details can be found on the Where to Study page of WSETglobal.com. In conclusion, taking on the challenge of the Level 4 WSET Diploma is not a decision to be taken lightly. In addition to the costs, you must also consider the level of commitment required in terms of study time and the subsequent impact it will have on your personal life. But I speak from experience and from that of many of my industry friends and colleagues when I say that if you are prepared to put in the effort, you will most definitely reap the rewards – and it will change your life. Anne McHale MW graduated from the Diploma programme in 2007, going on to become a Master of Wine in 2013. She now works independently as a consultant and educator, based in London, and occasionally teaches the Diploma course at the WSET School London.